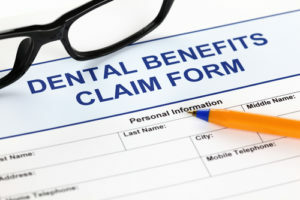 Your Dental Benefits May Expire Soon - Use 'Em or Lose 'Em! Your Dental Benefits May Expire Soon – Use ‘Em or Lose ‘Em! As the year comes closer to its end, it’s the perfect time to assess whether you need any important dental work done. Why now? Well, many dental insurance plans run on a calendar year cycle, with a yearly maximum of coverage earmarked for that time period, usually around $1,000 for most plans. And the unused remainder of those funds do not roll over to the next year. You either use it, or lose it. As we enter the final quarter of the year, now’s the time to take a moment and consider whether you need any major work done. If you’re aware of an issue, it makes far more sense to use up the rest of your 2016 coverage in October or November, than it does to start burning through your limit in January. For instance, if you have aging crowns that are beginning to wear — five years is the standard period of service insurance expects — now’s a great time to talk to your dentist about having them replaced. You pay your monthly premiums; there’s no reason not to maximize the benefits of this procedure if you’re in need of a replacement. And of course, smaller procedures are extremely important to your ongoing oral health. If you’ve already completed all the major procedures you needed earlier in the year, now’s the time to build your preventative oral health strategy. A teeth cleaning or simple filling now could save you from a root canal next year. With the year quickly coming to a close, now’s the time to contact your insurance company to find out how much of your yearly maximum is left. Then, call Overland Park Dental’s south office at (913) 647-8700, or our north office at (913) 341-2380 to make an appointment today.